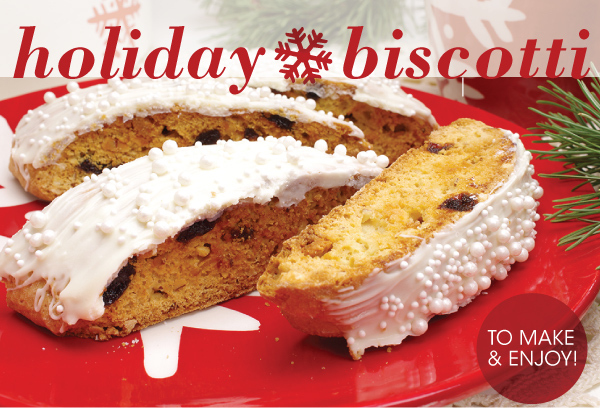 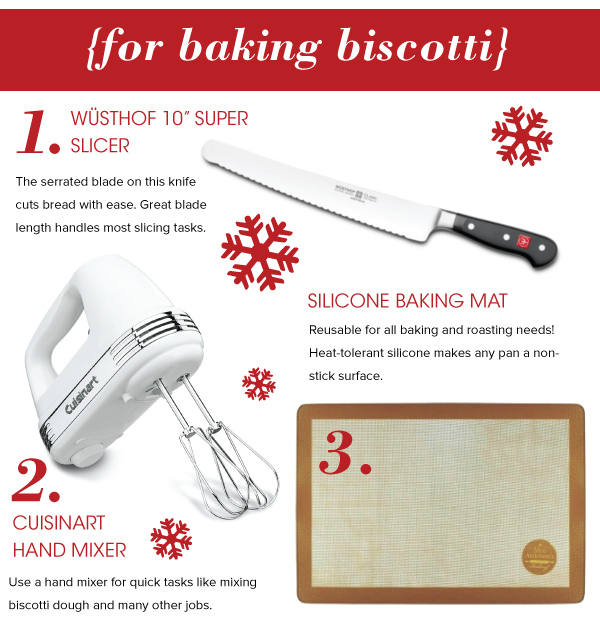 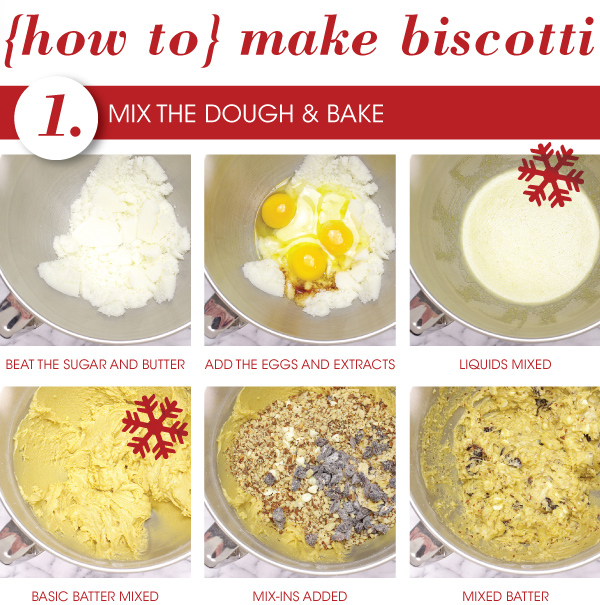 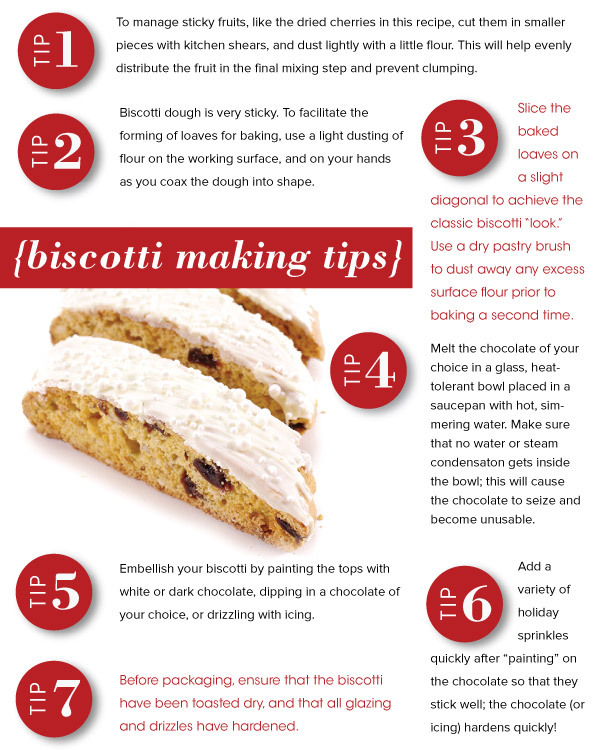 Bake and Enjoy Holiday Biscotti! 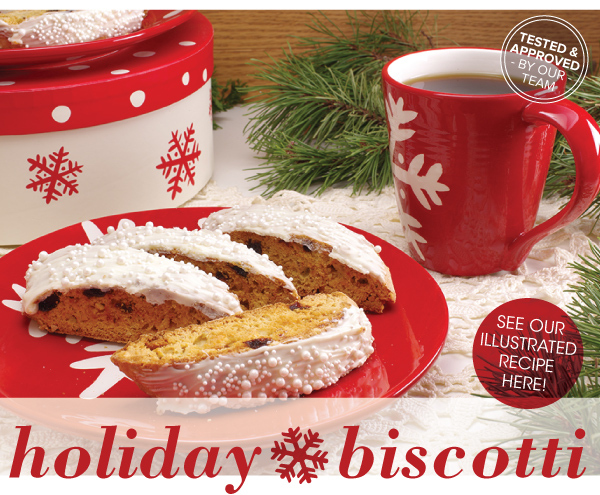 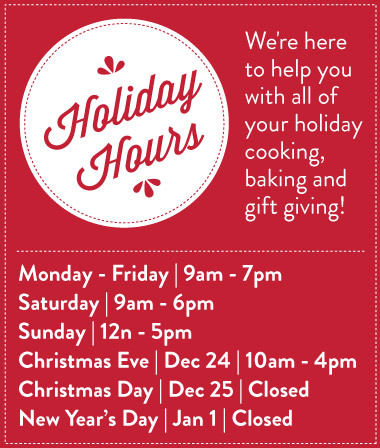 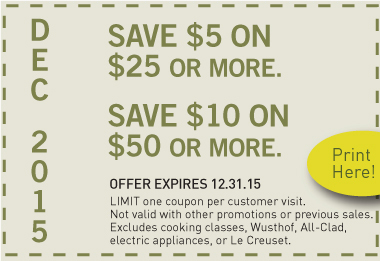 The classic coffeehouse cookie gets dressed up for the holidays! 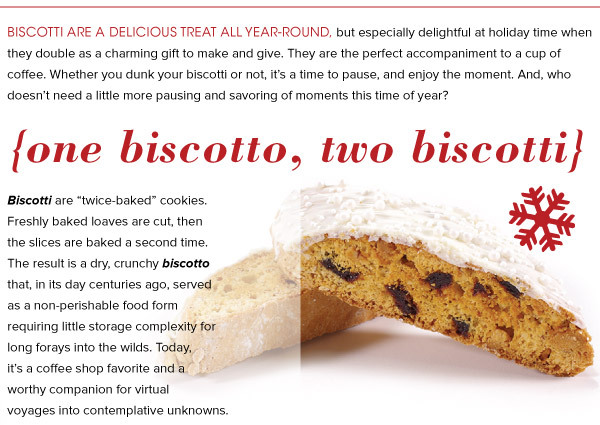 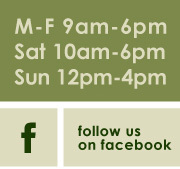 We've taken our classic biscotti recipe and added deep red cherries and plenty of almond flavors. 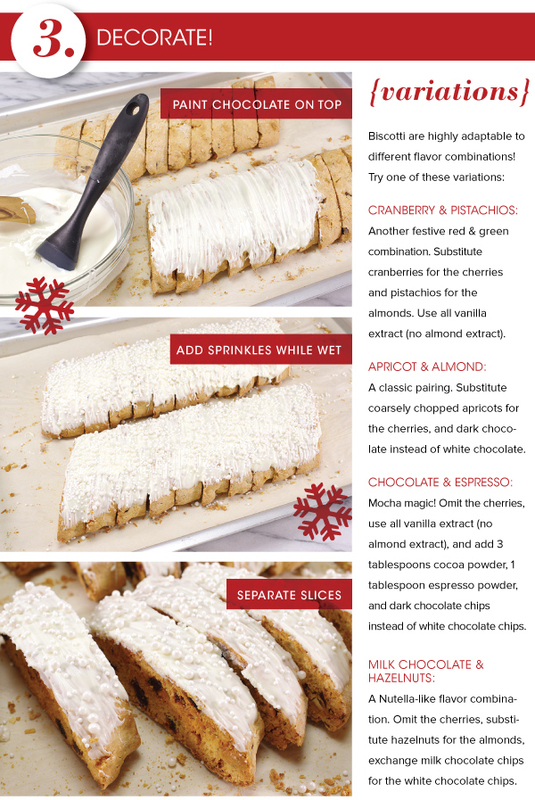 Our Cherry-Almond Holiday Biscotti sport a "snowy" top of white chocolate with plenty of sprinkles. 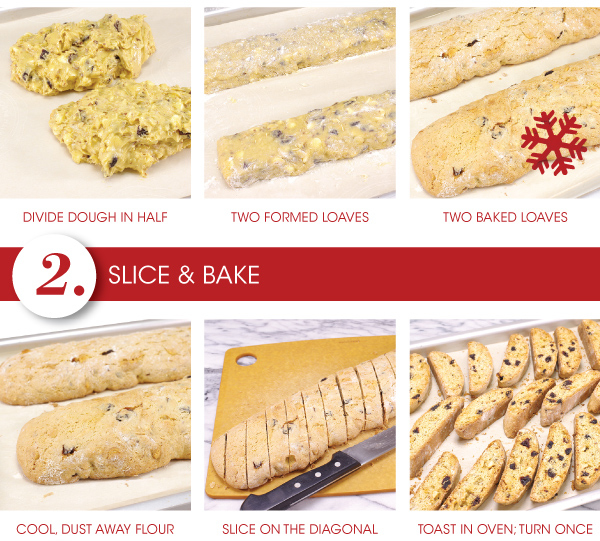 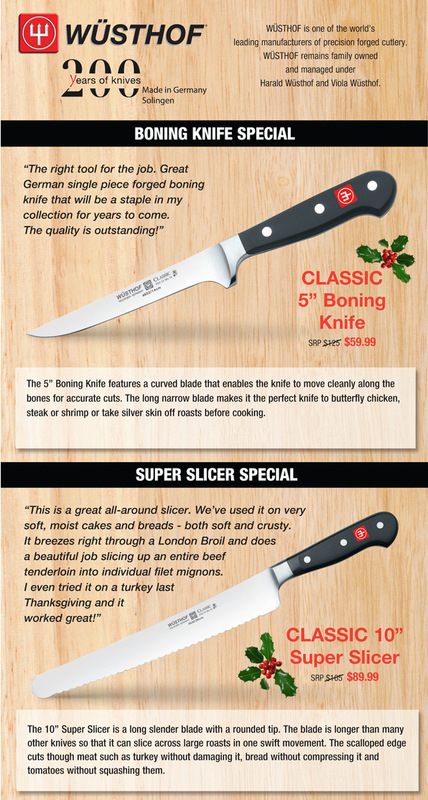 Quick to make, they're a festive treat to share and enjoy.